Whether you’re into hot mocha lattes, cold brew favorites or anything in-between, Wichita has dozens of amazing coffee shops offering seasonal and year-round flavors. We’ve compiled a list of the 5 most Instagrammable coffee shops in Wichita where you can order a variety of specialty drinks and flavors. This community-focused coffeehouse located just south of Wichita State University brings together handcrafted coffees and teas, smoothies, baked goods, finger foods, salads and more. The shop provides a great place for students and community members to gather, work and meet. Fairmount Coffee Co. also provides catering services. This local coffee shop is focused on creating a community feel over a cup of joe. With handcrafted drinks and a passion for ethically purchased ingredients, you can be sure you’re getting the best at Ecclesia Coffee & Community. Explore the fusion of coffee and ice cream at Churn & Burn, a local sweet shop that prides itself on its unique use of nitrogen to chill its ice cream, as well as its delicious hot beverages. Don’t miss this exclusive experience next time you’re in Wichita. Welcome to Wichita’s only full-service specialty coffee roaster, bar and craft bake shop. Reverie Coffee Roasters/Founders Bakery lies in the Douglas Design District and is the perfect place to go if you’re looking for a unique brew or made-from-scratch bakery delights. Where else can you pair coffee, donuts and local craft beer? No other place apart from The Donut Whole in the Douglas Design District. This iconic donut shop is known for its crazy and crafty creations, but also its delicious coffee blends. 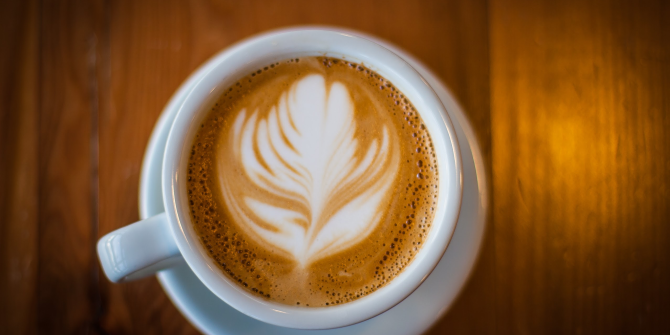 For more local coffee shops with delicious flavors and experiences, check out what Wichita has to offer and plan your trip today.